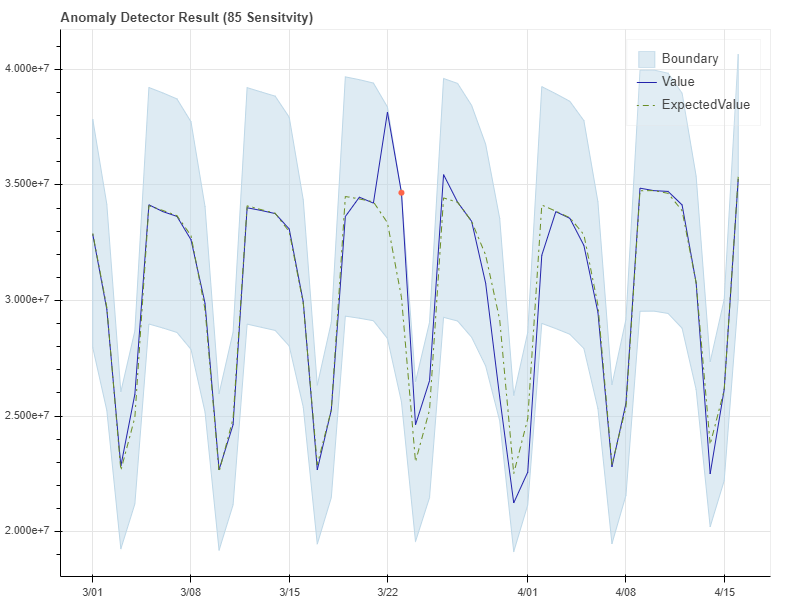 The Anomaly Detector API provides two methods of anomaly detection. You can either detect anomalies as a batch throughout your times series, or as your data is generated by detecting the anomaly status of the latest data point. The detection model returns anomaly results along with each data point's expected value, and the upper and lower anomaly detection boundaries. you can use these values to visualize the range of normal values, and anomalies in the data. The Anomaly Detector API provides detection modes: batch and streaming. By sending your time series data at once, the API will generate a model using the entire series, and analyze each data point with it. By sending new data points as you generate them, you can monitor your data in real time. A model will be generated with the data points you send, and the API will determine if the latest point in the time series is an anomaly. 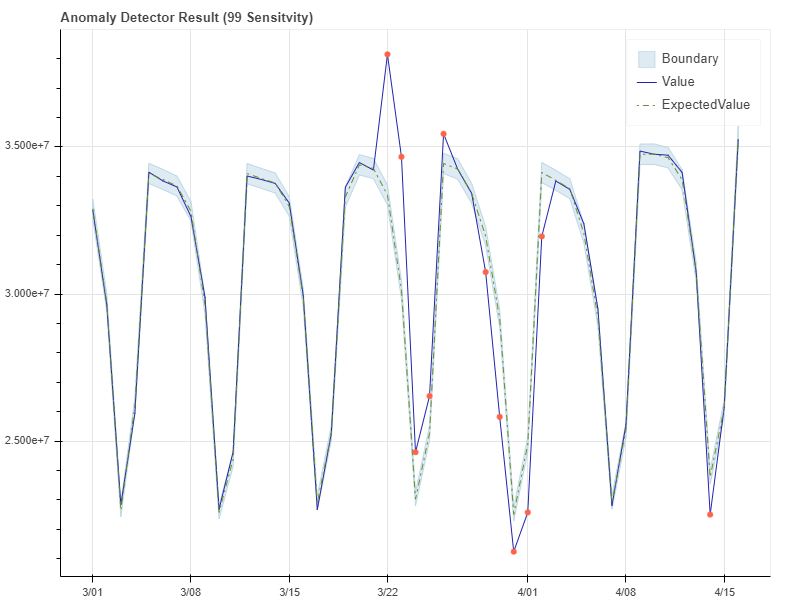 The following examples show an Anomaly Detector API result at different sensitivities.